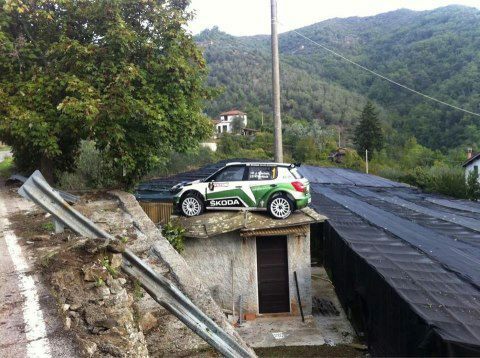 The man who have to win the IRC title in 2012 and win the last rally in IRC history fail to do that. Andreas Mikkelsen in a absent of competitors lost the rally but not the title for season 2012. Nasser Al-Attiyah with Ford Fiesta S2000 win Cyprus Rally 2012. Nasser win the rally after Mikkelsen problems with three punctures. The rally start with interruption due too spectators problem in the super special stage. Mikkelsen win the stage but on SS 2 he has a puncture and allow to Nasser to takes the rally lead. 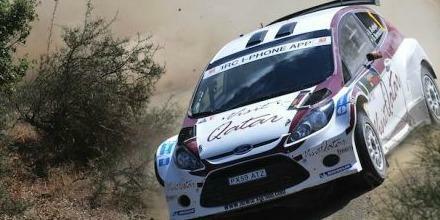 Toshihiro Arai out of the road in stage 3 but continue while Andreas damage his damper. In SS 4 Al-Attiyah broken front driveshaft but continue and finished second in the stage. Sepp Wiegand spin during the stage as Robert Consani has a gearbox problems. In stage 7 a puncture for Mikkelsen delay him but finished 2nd in the stage. In stage 10 a new puncture for Mikkelsen push him to delay almost 2-minutes in the stage. In the last stage 13 the Mikkelsen car was driven by his co-driver Ola Floene as finished with 45-seconds delay by the leader. The absent of competition is possible to see by the results where the third overall is at over 10-minutes distance. With Cyprus Rally 2012 finished season 2012 for IRC. IRC gone into history as next year the championship transform into one with the European Rally Championship. In a season without competition the champion for 2012 in IRC is Andreas Mikkelsen with Skoda Fabia S2000. Jan Kopecky wins the last 3 stages of Rally Sanremo 2012, as the leader Basso was in a comfortable advantage to drive safety to the final. On the photo Juho Hanninen crash. Rally Sanremo 2012 12 round of IRC start with cloudy, dry and some places wet surfaces. The local driver Giandomenico Basso takes the rally leader position after the first stage. One of the pretenders for the podium place Umberto Scandola crashes during the first stage and damage his rear wheel. In stage 3 Basso extend his rally lead as win the stage and lead in the overall standing with 12.7 seconds to Jan Kopecky. The fog in stage 3 was heavy. In stage 4 the longest stage of 44 km Basso continue to extend his rally lead to Jan Kopecky to 25.6 seconds in the overall standing. Juho Hanninen who was too slow in the first 3 stages crash during the stage 4 and retired. In the longest rally stage Pierre Campana broken his rear differential, as the Hungarian driver Frigyes Turan overheating his engine. Today in Saturday the second day of the rally Basso continue to extend his rally lead to Jan Kopecky as win stage 5 and 7. In stage 6 A. Perico win the stage as Basso remain second at 0.7 second.